Our interior design aesthetic draws from nature-based biomorphic shapes coupled with classic mid-century modern and contemporary design. 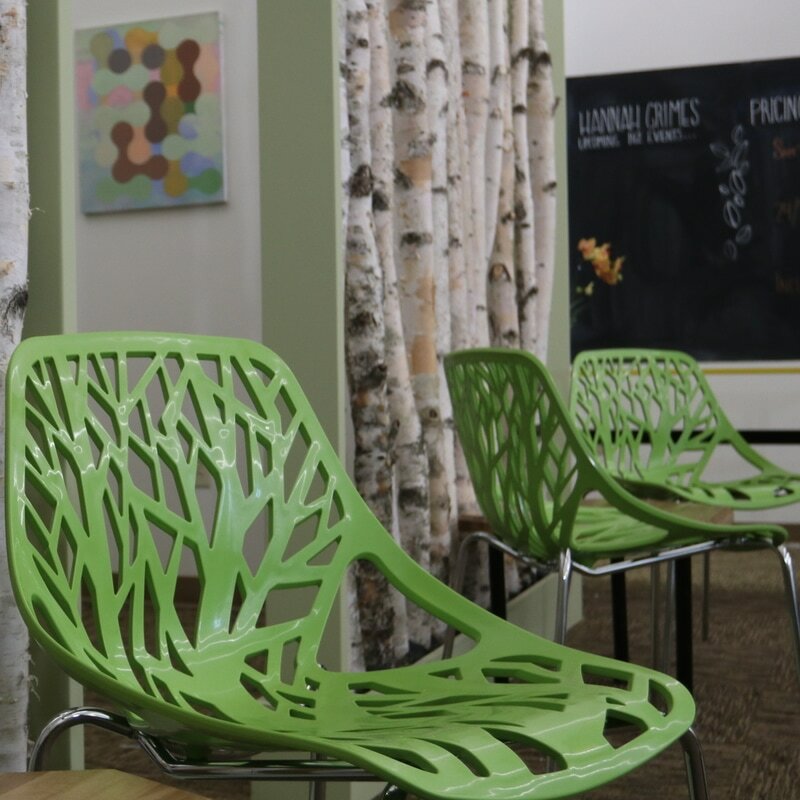 We transform professional and entertainment spaces into creative and engaging environments. Let us help you with your vision for your home, business, or venue. We're available for consultation or for full interior design projects from concept through launch. We have relationships with established regional artists and top furniture and lighting designers. Art brings life to a home, office, or venue. We will help select and install the perfect art for your space. We can facilitate the process from start to finish, whether you are interested in purchasing art or setting up a gallery of work on loan. ​We use color to promote an emotional connection to a space believing that certain colors inspire focus, calm, creativity, energy, and much more. Let us help you to choose the colors for your space that support your vision. The right creative and artistic lighting will add beautiful ambiance while brightening your space. We can facilitate the lighting process from working directly with electricians to sourcing and purchasing floor lamps or installed overhead lighting for any space. We can also consult on event or venue lighting. 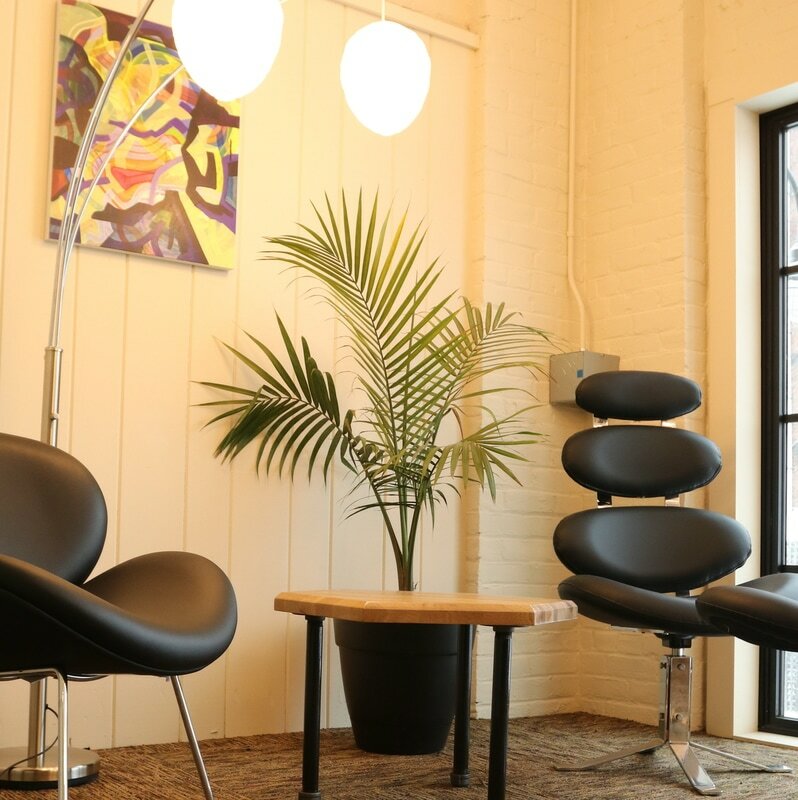 Our style ranges from classic Eames-era mid-century modern, to industrial, biomorphic or nature based, and modern eclectic. 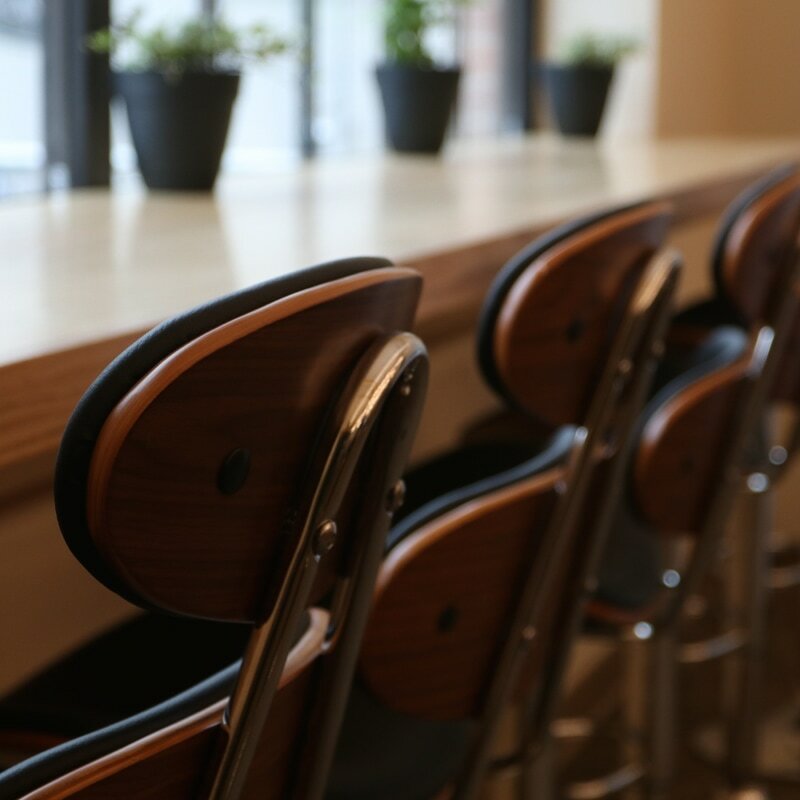 We can consult on furniture selection or manage the process through purchasing and installation. 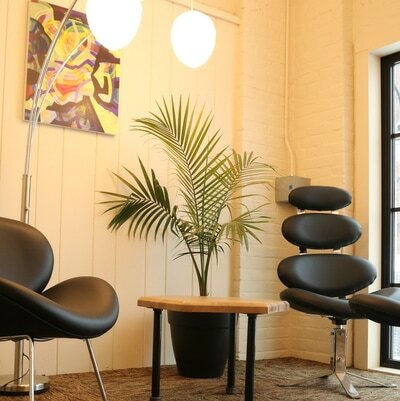 We also work directly with local artisans to commission custom furniture or built in design features. We work directly with regional graphic artists and sign artisans to craft branded signage for your business or venue that fits with the design aesthetic of your space. ​We focus on sourcing locally whenever possible. We believe in using renewable materials and sustainably manufactured furniture. Our carpenters use non-toxic low VOC paints and finishes. Our lighting partners work with energy efficient light fixtures. Let us know if you have a specific concern or interest in sustainability and we will work with you to ensure that our project meets your expectations. ​Facilitate project vision, concept development and theme. Provide consultation, for color, décor, lighting and ambiance. Oversee contract work and installation art. Source and purchase furniture, lighting, appliances, office equipment, and art. The Hive is a creative, flexible, and inspiring co-working space. The Hive invokes images of intentional collaboration, pollination and creation, a complex symbiotic system, and natural beauty. We will use this name to help shape the content in the space and also the design of the space. Co-working tables will be cut as half hexagons, allowing for a creative array of honeycomb inspired designs. 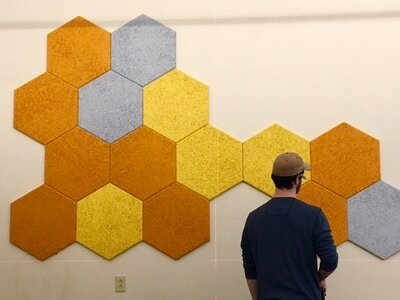 Hexagon soundproofing will double as art, adding to the hive theme. In keeping with this theme, we would like to add a warm yellow to the Hannah Grimes color palette, allowing us the flexibility to have the space feel fresh, while still keeping with the Hannah Grimes branding. The general feel of the room will be mid century modern industrial with elements of nature, brought in by the hive motif, a birch tree divider screen with smooth black beach stones, biomorphic furniture, and natural wood.